Have you put up your Christmas yet? Usually I wait until after Thanksgiving to put up the tree, but this year, Bella asked for us to put the tree up as part of her 6th birthday weekend. So, we have had the tree for a couple weeks now. And, I have to say, it has been nice snuggling on the couch with the girls and admiring the tree lit up with all the ornaments the girls helped me put on the tree. Another plus is that I don't have to rush around now the craziness of the holidays and shopping has kicked off. Shopping is done and the tree is up, so I just have to finish my gift guide posts over the next week, and then can enjoy time with family and friends as we wait for Santa's arrival. When we put up the tree a couple weeks ago, I put on a new holiday CD I was sent. Have you heard of a musician names Shelly E. Johnson? I hadn't either, until I was sent a press release about her new holiday CD which released back on October 20th. I love holiday music, and have to admit I get excited when they start playing holiday music on the radio after Halloween. So, I was eager to hear Shelly E. Johnson's new CD and see what she was all about, and how she sounded. “When I was 14, my daddy died a week after Christmas. Because of that, our family endured many sad Christmases in the years that followed. It’s been an amazing journey watching God restore joy to our family over the years and once again making Christmas beautiful. I know Christmas can be a hard, sad time for so many people, so my hope for my new album “Christmas is Beautiful” is that it will be a fresh reminder of the faithfulness of God,” explained Shelly. Shelly is a worship leader at North Point Community Church, a 36,000 strong, multi-campus church in Metro Atlanta, Georgia. She is married and a mom to a two-year-old little girl. Most well-known for writing the powerful worship anthem “Power of the Cross”, which has been recorded by Natalie Grant, Steve Green and is being used in churches worldwide, Shelly has served as worship leader alongside Beth Moore, Tony Nolan, Andy Stanley, and toured North America with renowned Irish Hymn-writers Keith & Kristyn Getty. 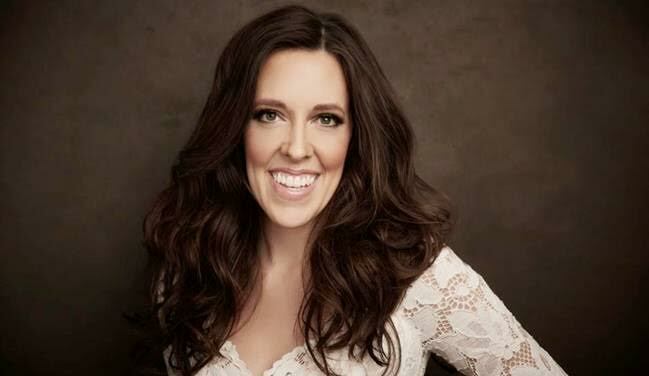 After releasing her independent album Mosaic of Grace in 2009, Shelly signed her first publishing and recording deal with LifeWay Worship in February 2011. Her debut EP Power of the Cross released in August 2012, in partnership with Maranatha! Music, with the lead single "All Things Beautiful" impacting Christian radio formats. In September 2014, Shelly's full-length worship album Your Kingdom Come released worldwide through LifeWay Worship, in partnership with Elevate Entertainment. In January 2016, Shelly released her follow up worship album entitled Measureless, with the lead-off single "Loved Me First" hitting the #1 spot at Christian Radio the first month. Less than 6 months later, in June 2016, Shelly released her first live worship album, Christ Be Everything (LIVE), recorded and filmed at 1971 Sounds in Atlanta, GA. Shelly has just completed her first Christmas album, Christmas Is Beautiful, set to release worldwide on October 20, 2017, and will be launching a nationwide Christmas Tour in November 2017. “This album was really fun for me artistically - I feel like I got to really spread my wings and fly for the first time on any album I’ve ever recorded. Being a worship artist, I’m so often boxed in with trying to keep melodies easy for the crowd to sing along with, thus preventing me from having too much fun vocally with songs. But with this album, because of all the jazz elements and fun classic songs we did, I had total freedom to just SING and do whatever I felt, which was SO fun for me!” stated Shelly. Shelly spends her time writing songs, serving as a worship leader at her home church, and traveling the country striving to build the Kingdom of God through her music. Shelly and her husband Jack have been married for twelve years and currently live in Woodstock, GA, along with their daughter Mary Carson." Here is a taste of Shelly's new holiday season -- she is singing my favorite holiday song, "O Holy Night" - Enjoy! Isn't she amazing? I am so happy I had the opportunity to review her CD and that I was introduced to her, as I am now a fan. And, after learning about her back story, it only makes this CD more inspiring and meaningful. You can tell she really poured her whole heart into this CD, and it is sure to be a hit with many families. I hope you take the time to pick up Shelly's new holiday CD and share it with your family. This is one CD that you can have playing in the background as you put up the tree with your family, or enjoy when family and friends come to visit and you want to get everyone in the holiday spirit. I was just listening to Shelly's CD again last night as I started wrapping gifts. Songs on "O Holy Night" really sent shivers up my spine and had me stopping to really appreciate the true meaning of the holidays and was a great reminder to stop and enjoy time with family, as we are all living on borrowed time and we never know when God will call us home. Shelly's holiday CD is one CD I am happy to add to my holiday CD collection, and one we will continue to listen to for years to come. You can learn more about Shelly E. Johnson and buy her new holiday CD by visiting https://shellyejohnson.com/. And, check to see if Shelly is stopping by your area as part of her holiday tour, which she kicked off this month to promote her new holiday season.